The Donut Diet is a revolutionary new approach to helping you be free from stress eating, emotional eating and binge eating for good. but The Donut Diet will, because it’s not a diet! 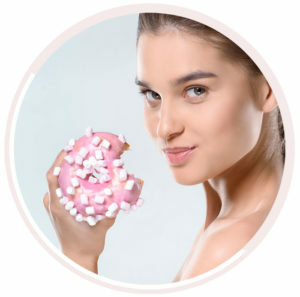 WHAT IS THE DONUT DIET? WHO IS THE DONUT DIET FOR? freedom, have more fun and feel more confident in your body. WHAT’S THE SECRET TO THE DONUT DIET? IS THE DONUT DIET INTENDED FOR WEIGHT LOSS? Yes and no. Technically, no, but weight loss is most often a happy byproduct of following the diet. 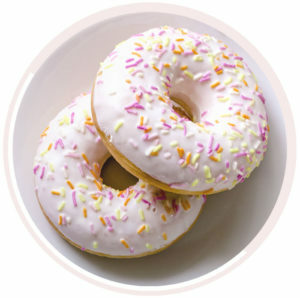 The Donut Diet is a program to help people break the patterns of emotional eating, stress eating and binge eating. Often, then we break those cycles we end up naturally losing weight without changing anything else that we eat. DO YOU EAT DONUTS ON THE DONUT DIET? You can, but you don’t have to. The creator, Trish Blackwell, doesn’t actually like donuts, but she loves coconut cake. Coconut cakes are her donuts. 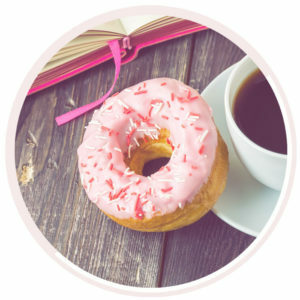 The premise of The Donut Diet is that, for a period of two weeks, you pick a favorite food, one that you typically have “off limits” and that you have told yourself that you’re “not allowed” to eat and you give yourself permission to enjoy that food, teaching you how to start demoralizing your relationship with food. The only rule with your “donut” is that you are allowed one serving of it and you aren’t allowed to feel guilty about it. Get over the guilt and shame you have with food. Stop the cycle of emotional eating. Unlock a NEW way to eat. Thrive and be as healthy as you deserve to be. Receive access to the full three-phase, 6-week emotinal eating freedom program with confidence and accountability expert Trish Backwell. Get the strategy, tools, accountability, support and encouragement to change your life forever! I’m Trish, and I’m happy you’re considering The Donut Diet. I’m a Virginia-born, happiness-obsessed mom of two who got tired of being a perfectionist and decided to live life more beautifully (and I love helping others do the same). You can usually always find me with a coffee mug in hand or chasing my two kiddos around with my pink laptop falling out of my diaper bag. I struggled secretly with an assortment of eating disorders for much of my life: binge eating, emotional eating, stress eating, bulimia, compulsive exercise and laxative abuse. Additionally I also battled low self-esteem and body confidence issues for ten years until one day, at a café in southern France a light bulb went off in my head about what real beauty and real confidence really are and I figured out how to change the way I thought, the way I felt, the way I ate, the way I exercised and the way I lived. And I became about 1000x happier as a result. 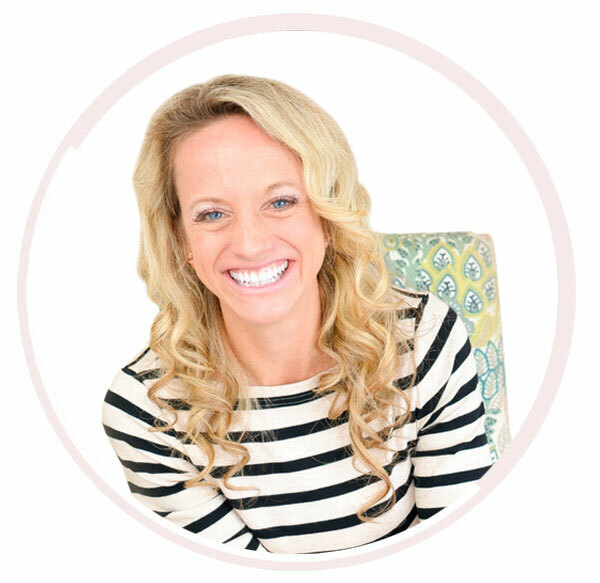 I committed myself to writing, podcasting and coaching on confidence and health and infused my personal training background, my research in the field of positive psychology and my nutrition knowledge into this revolutionary program to help you feel as free and unstoppable as you deserve to feel. 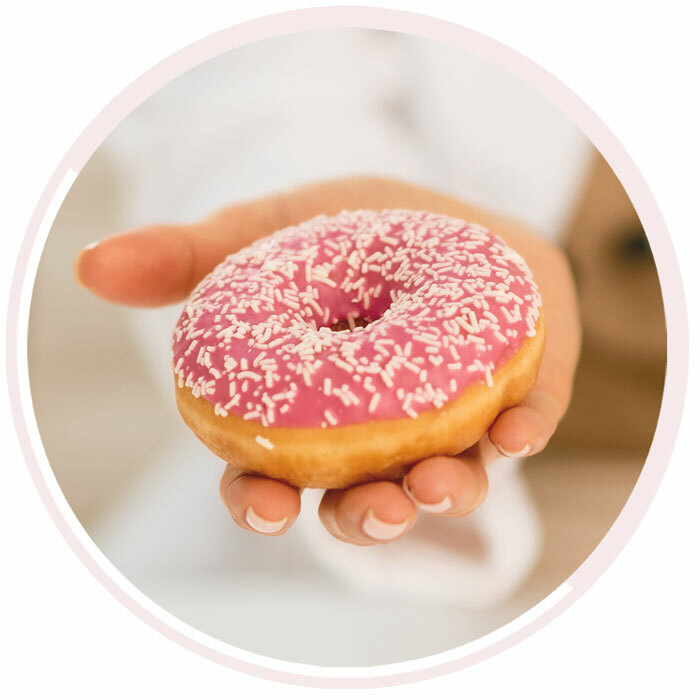 The Donut Diet is a methodology and program that I am confident can help you better understand your relationship with food and your management of stress and emotions in your life. It’s time to be free from the tyranny of food and to allow yourself to experience the happiness and health you deserve, and I can’t wait to celebrate you as you learn to do that with The Donut Diet! Copyright © 2019 - Handcrafted with by Trish Blackwell. Get in Touch.